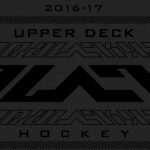 Upper Deck’s MVP Hockey Set was released two months before the start of the season, making it the first hockey card set of 2016-17. Sets released before the start of the season cannot include cards of players who were drafted over the summer or who have not yet played in a single NHL game, so the rookies found in MVP are players who made their debut late last season. 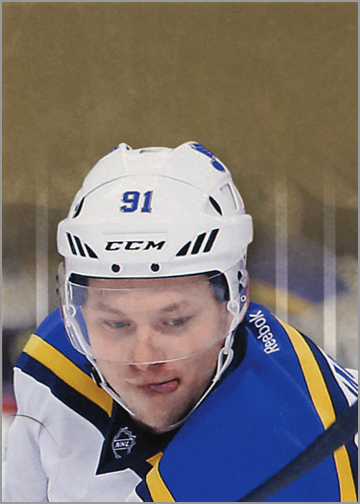 Thus, no Auston Matthews or Patrick Laine in this set, though you can hope to pull a rookie redemption card to get cards of those players mailed to you at a later date. A box of 2016-17 MVP costs around $40 and contains 20 packs. Each pack has eight cards. 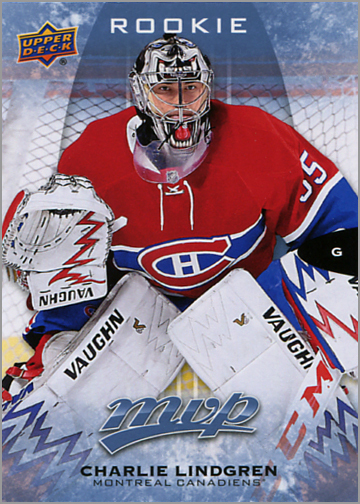 Although the set came out earlier in the season, I finally opened a box of 2016-17 MVP Hockey. Here is what I got. Another problem with the base set is that it excludes the NHL’s very best players, like Sidney Crosby, Connor McDavid and Alex Ovechkin. The superstars are short-printed, meaning that the base set focuses on stars and really good players — but not the best. 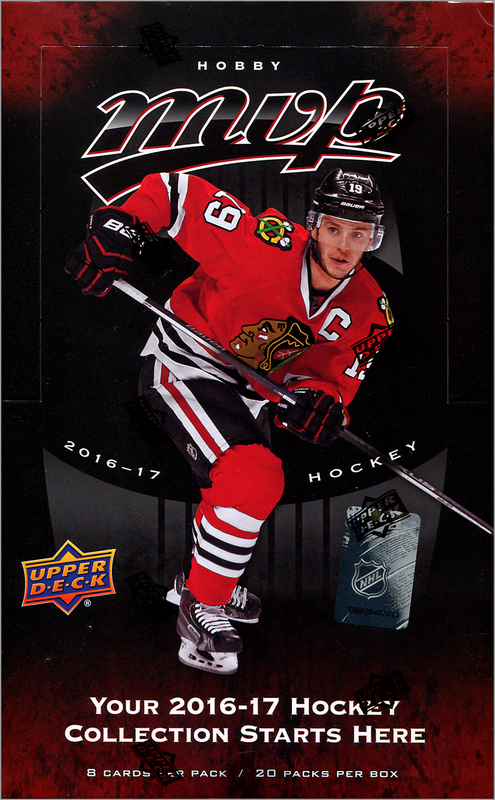 Each pack has one short-printed card, which is either a superstar, a rookie (who debuted later during the 2015-16 season) or a retired legend. Cards 201 to 265 are of superstars, cards 266 to 275 are of legends, and cards 276 to 299 are rookies. Card 300 is short-print checklist. While short-printing rookies and legends cards has become a standard practice, short-printing cards of the 65 best current NHL players is disheartening. What’s the point of buying a pack of cards if the best players are hard to get? More shiny! The last 30 cards (331 to 360) are called Leading Lights. 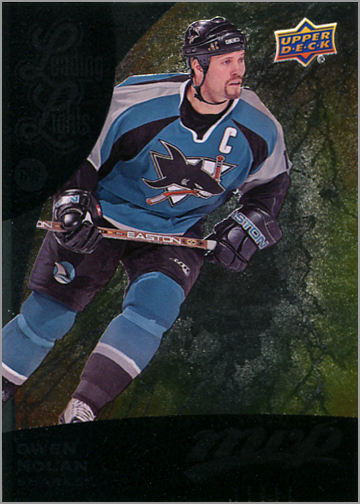 What is odd about the Owen Nolan Leading Lights card (above) is that he is the only retried player in the Leading Lights subset, which is otherwise all current players. 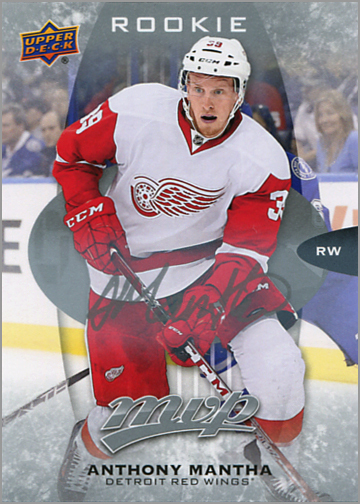 It wouldn’t be an MVP set without Silver Scripts parallels, which have a facsimile autograph in silver ink (natch!) on them. There’s also something called “Gold Script” which have way tougher odds (1:65 packs). I imagine they look like these, but use gold ink instead of silver. Genius! 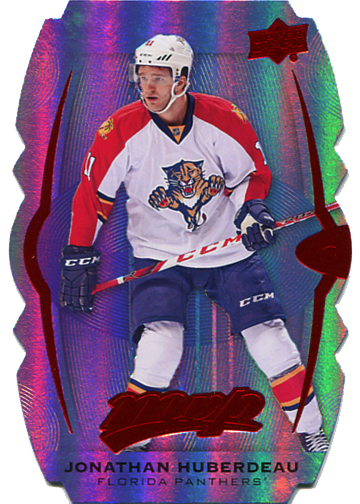 If something shiny and die-cut is more your speed, there are “Colors and Contours” parallels. There are three different versions of these: teal, gold and purple. Now this is a unique idea that I love! 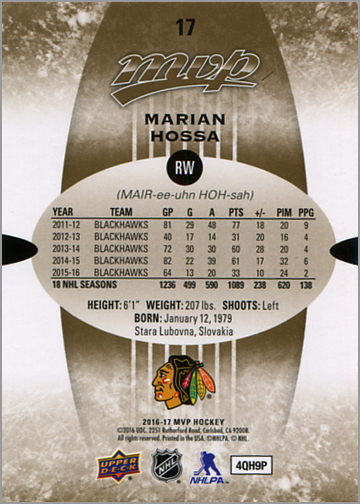 All 200 base cards have a “Puzzle Back Parallel.” One side looks like a regular ol’ base card, but has the number and copyright info next to the player’s photo. The other side of the card has a piece of a bigger picture. Every puzzle is made up of nine individual cards, and if you put them in a nine-pocket page, you can build the entire picture. These remind me of those old Topps stickers where the sticker backs made up a big picture. Of course, the non-puzzle side of the card is kind of dull, since it is a base card, but cluttered by the card number, copyright info and such. 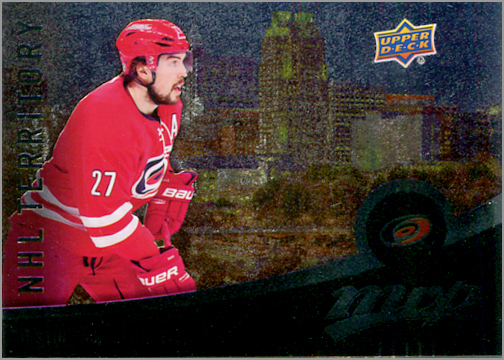 Still, I applaud Upper Deck for doing something fun in this set. What about this year’s Rookie Class? Since MVP came out in August 2016, rookies like Auston Matthews and Patrick Laine had yet to play in an NHL game at the time of this product’s release. Thus, they are not included in this set. However, one in every 400 hobby packs (or one in every 4,000 retail packs) has a Rookie Redemption card, which you can exchange for eight rookie cards. There are four different Rookie Redemption cards — one for each division — and it nets you the entire eight-card set of that division’s top rookies. Matthews is found in the Atlantic Division rookie set, while Laine is a part of the Central Division rookie set. Another redemption card can be redeemed for an Auston Matthews “First Overall Pick” card. That redemption card is found one in every 1,250 hobby packs or one in every 12,500 hobby packs. 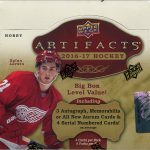 Hey, if you really want to buy 62.5 hobby boxes of MVP to try and get an Auston Matthews rookie card, have at it. Otherwise, you might want to buy a different product that gives you better odds. 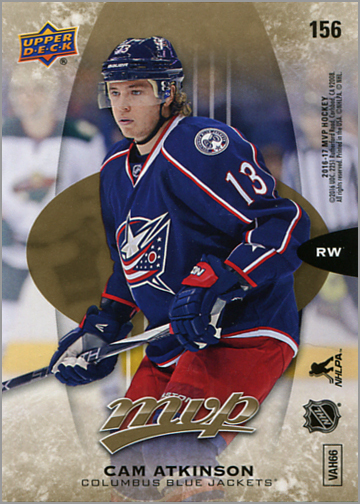 What I like about 2016-17 MVP Hockey: The base card design is clean and not cluttered. The puzzle pieces is a unique, fun idea. I’m actually going to try and get them all. 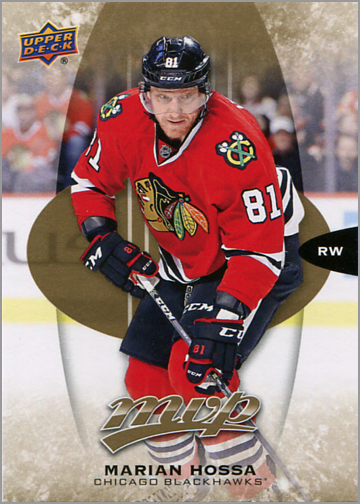 What I do not like about 2016-17 MVP Hockey: The best players are short-printed, meaning that the 200-card base set focuses on the second-tier, good-but-not-all-star players. 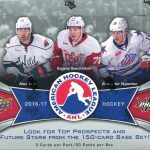 There are three different tiers of short prints — stars/rookies/legends, NHL Territories and Leading Lights — each progressively harder to get. Do we need five different parallel versions of every card — six if you count the Puzzle Pieces. There are no “new” rookies in the set, just “leftovers” from the previous year. 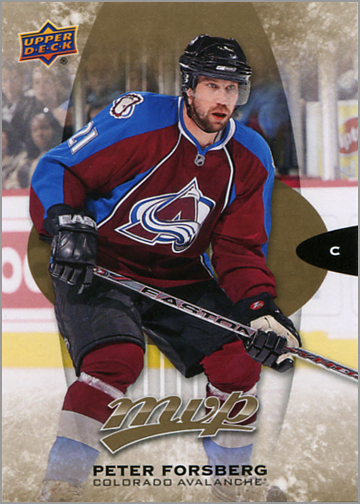 And don’t get me started on the nearly-impossible-to-get rookie redemption cards. I miss the days when a rookie redemption was a one-per-box find, and not something you found once in every four cases. Just a couple of corrections for you Sal. Auston Matthews IS part of the Atlantic Division redemption set and Patrik Laine is part of the Central Division. Thanks, John. I’ve noted the corrections above. Agreed, while Upper Deck makes probably the most fun set to collect with Tm Horton’s, this set is a travesty with the short prints. It just smells of greed.